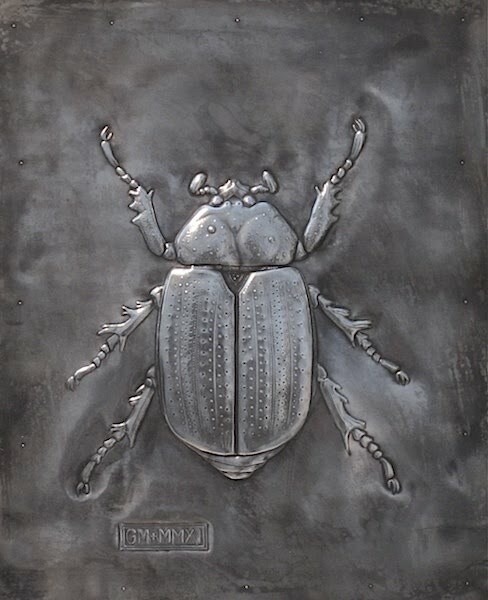 Giles Milton specialises in repoussé metalwork. It involves sculpting, embossing and chasing a blank sheet of metal into a recognisable form in relief. It is a skilled technique that dates from Mycenaean times. The metal is worked inside out and in reverse. The art of repoussé is a struggle against metal, pushing it to the limits of its malleability. One slip and the metal will split. These days, it is an endangered craft with few practitioners. Most of the works on this website are for sale.